2.Outbreak of the third generation of Chilo supperssalis in Wenzhou. 3.Efficacy of imidacloprid in controlling rice planthopper. 4.Dominant natural enemies of wheat aphids and natural control their impacts in wheat fields. 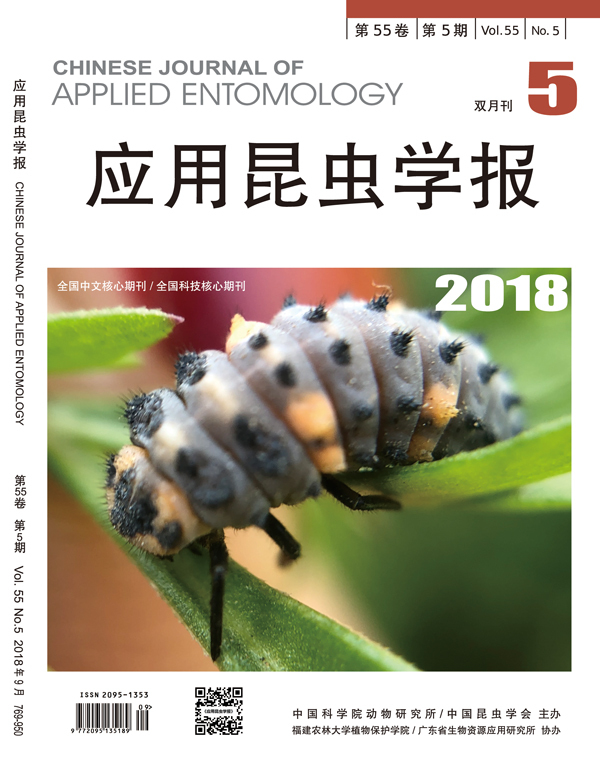 5.Community structures of arthropods in cotton fields in the northern of Anhui. 6.Bionomics and control of Maruca testulalis Geyer. 7.Bionomics and control of Tricentrus sophorae YuanetYan. 8.Developmental threshold temperature and the effective accumulated temperature of Gastrophysa polygoni(Linnaeus). 9.Studies on the development zero and effective accumulated temperature and the thermal constant of Callosobruchus maculatus Fabricius. 12.Application of three-dimension animation in the simulation of wing-beat patterns of insects. 20.Preparation and staining of serial paraffin slices of mosquitoes. 23.Insect chitinase and its potential use in plant protection.